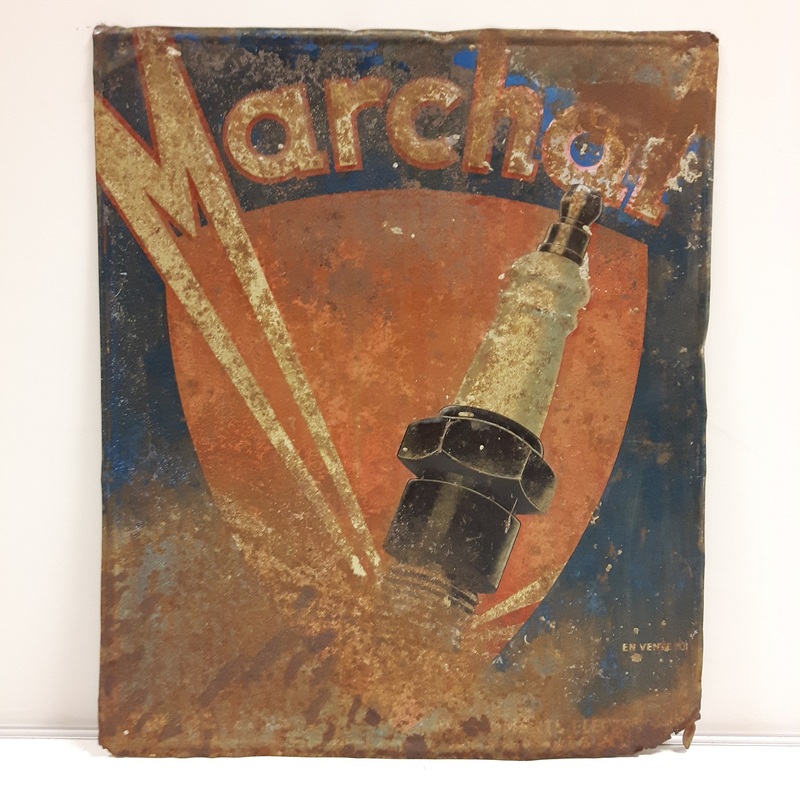 Rare early 20th Century 3D embossed tin sign advertising the Marchal brand of spark plugs. Marchal was a company established in Pantin, France in 1923 by Pierre Marchal and a small group of friends producing spark plugs, dynamos and lamps. During the late 1920s and early 1930s the company sponsored a number of cars in various motorsport events, including the Rallye de Monaco & 24 Heures du Mans. The company merged with SEV in 1963 and the name had all but disappeared by the late 1970s. This sign is believed to date from the early 1930s and has the look that screams the Deco era. 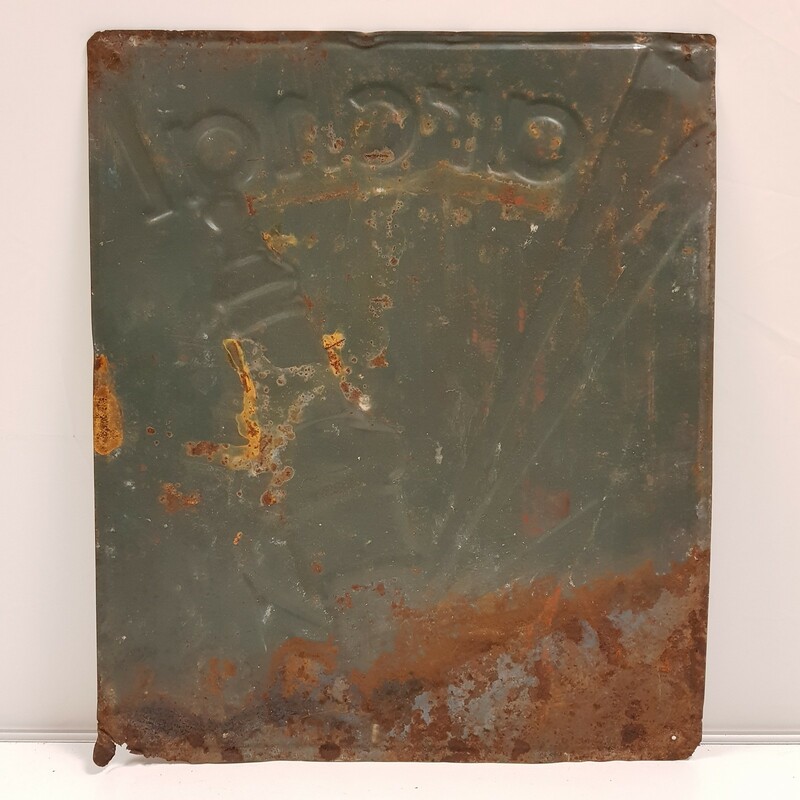 The sign is completely original, with patina commensurate with age.